The Owner-Operator Independent Drivers Association (OOIDA), in a last ditch effort, petitioned the Federal Motor Carrier Safety Administration (FMCSA) for a five-year exemption for “small business truckers” to delay the ELD implementation. OOIDA may think that small businesses should be exempt but with all the benefits, the system will pay for itself with increased efficiency and profitability. It would apply to small transportation trucking businesses, as defined by the Small Business Administration. The fleet would have to be able to document a history of safety performance with no at-fault accidents on record. No fleet with a Carrier Safety Rating of Unsatisfactory would qualify. This last effort to stop, even in a small way, the ELD implementation by OOIDA doesn’t appear to be headed for success. So far a single 90 day exemption was made available for agricultural drivers but that’s been it. If you’re waiting for a last minute reprieve, it’s time to look at how an ELD can benefit you – no matter what size your fleet is. As a small business owner, you’re constantly looking for ways to make business easier and more profitable. Believe it or not, a good ELD system isn’t just another mandate to follow – it can actually make your life easier. Just because you’re used to constantly asking, “Where’s your logbook?” or saying things like “I can’t read this” or even “This doesn’t added up,” doesn’t mean it has to be that way. With an ELD like Gorilla Safety everything is automated and you’ve got access to the correct information when you need it. All that saved time lets you focus on other things. Hours of service (HOS) and logbook violations are pain in the neck. They can also be expensive for your small business. The ELD system keeps drivers on track and compliant, not allowing them to push the envelope a bit and get more driving time in. In the long run, you not only have fewer violations, you’ve got more rested and safer drivers. The Gorilla Safety ELD system doesn’t just log hours. It can also give you other, more valuable information. Need to re-route your driver out of an accident/traffic jam? Want to know who’s speeding, braking hard, and idling a lot? This information allows you to make your drivers aware of their habits and improve their fuel efficiency. They drive better, and you spend less on fuel. As a small business you might not need a full fleet management system right now, but you should still have access to good technology that’s easy to use. The Gorilla Safety app is intuitive to use, making training time less stressful. It’s easy to install so you don’t have to incur a huge expense to get it up and running. Even better, as your business grows, you can expand how you use the system. If you get big enough or when you’re ready, you can use it as a fleet management system. 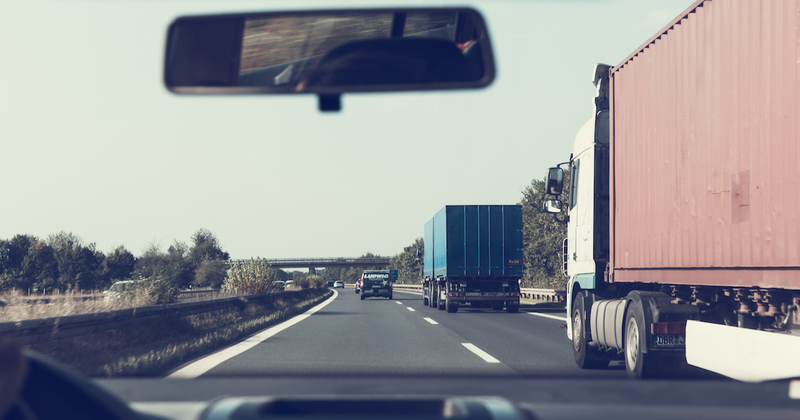 It might be enticing to imagine not having to comply with the ELD mandate, but it’s unlikely that the rule will change for small businesses. Even if a temporary exemption is granted, the right ELD can do so much more for your business. If you can save on fuel costs, lighten your workload, and have fewer violations, it’s worth the (brief) time spent learning a new system and adjusting to the change. Want to see exactly what Gorilla Safety app can do for your fleet and your small business? Contact us today!